Doing Good Things & Having Fun! current & future club leaders to learn the latest from FJMC, find programming, membership & administrative ideas to strengthen your club. 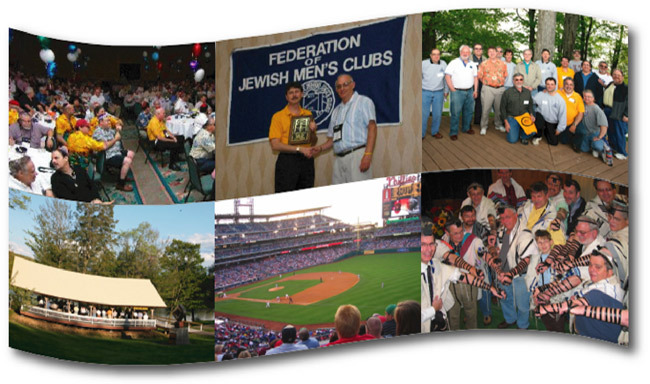 The Federation of Jewish Men's Clubs is an organization of approximately 270 Conservative/Masorti Jewish men's groups consisting of 25,000 individuals across North America and the world. 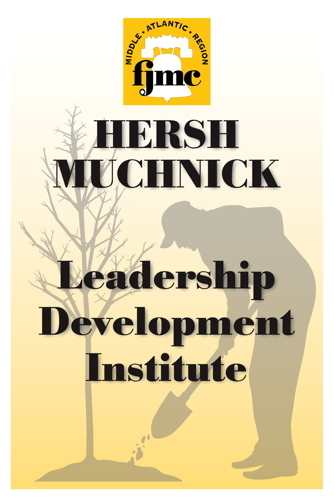 The FJMC involves Jewish men in Jewish life by building and strengthening Men's Clubs in the Conservative/Masorti Movement. 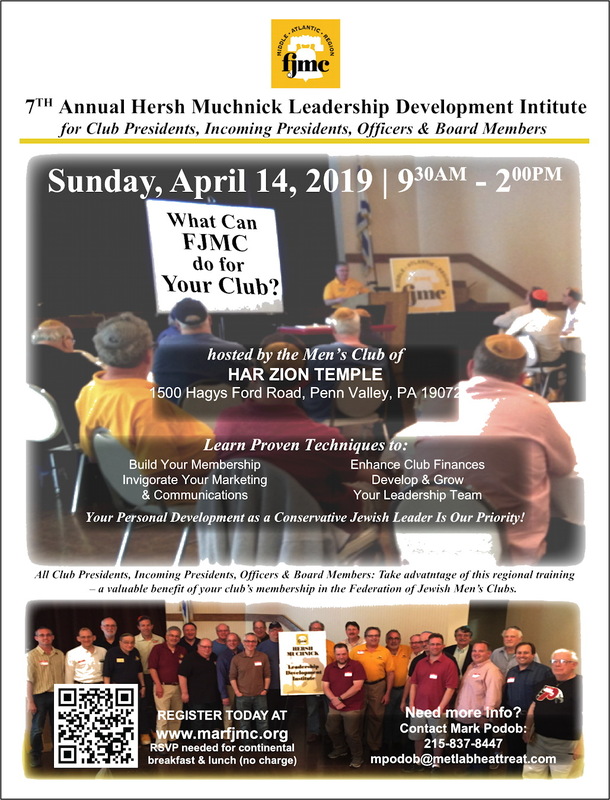 Our objectives are to train and develop leaders to build and strengthen Men's Clubs; to create and implement programs to involve men in Jewish life; and to be an active and influential participant in the Conservative/Masorti Movement.